But then, sweet sweet dearie came to Melaka. It was a surprise. I'm really very happy that he did that for me. I never thought he would come here to see me this week coz next week he'll be here again. I'm sorry sweetie..and thank you. Muaks Muaks. But anwy..i'm glad to go out. hehe. We went to eat SIbaraku on Saturday. Yummy Yummy...he says it's better than Seoul Garden wo. haha. N den..he bought me a new purse as an early birthday present. =) Genuine Italian Leather. haha. But i don have to be sien so long..My dear finally decided to come this weekend. Hehe. Hope my housemate can get well soon lo. Den he can go Sing Karaoke with us. 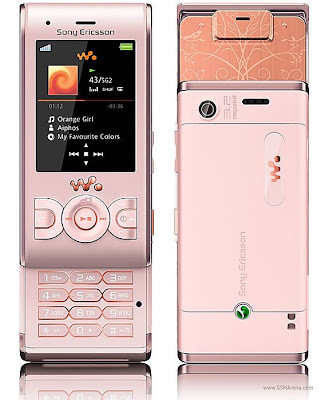 Anwy, i got my pink phone ady. N it's super super nice. It look very girl..hehe. N i think de keypads are too small for a guy to handle. It's totally a girl phone la. Super love it. I dunno why my cousin took this...but i look slim. haha. 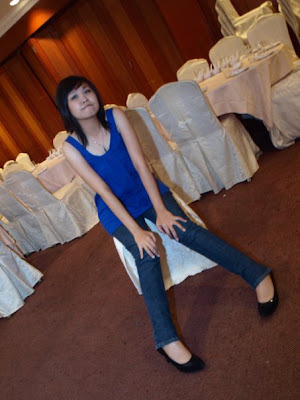 Look at my legs~ long leh. Hahhhah. Little Joyce was forced into the photo shooting. hehe. 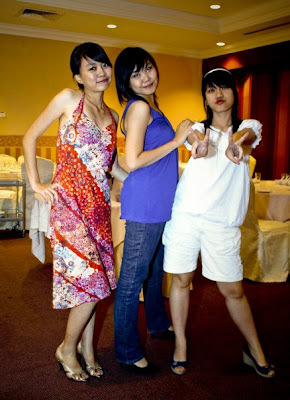 My cousin sisters...pretty o not? hehe.. I love this picture soooo much! Cousin bro has ask us to be his model for his outdoor shooting. but need to wait til we all are back in JB. hehe...yippie. Yippie! Finally! Everytg in Pink!! I GOT MY PINK PHONE ADY!! Thanks so much dearie~ I owe you so much!!! Gonna get my phone on Saturday!! YAY!! Should i go get it this weekend?? Should i??? AHhhhhhh...cannot tahan!! How do you like my new template? I'm js back from JB today. Attended a wonderful, and very warm family party. Haven't been seeing dearie for about a week. N i miss him so much..
Can only see him this weekend. Sigh.. But anwy, Distance makes the heart grows fonder rite? We both enjoy seeing each other after such a long time not meeting. So i guess, distance isn't that bad..